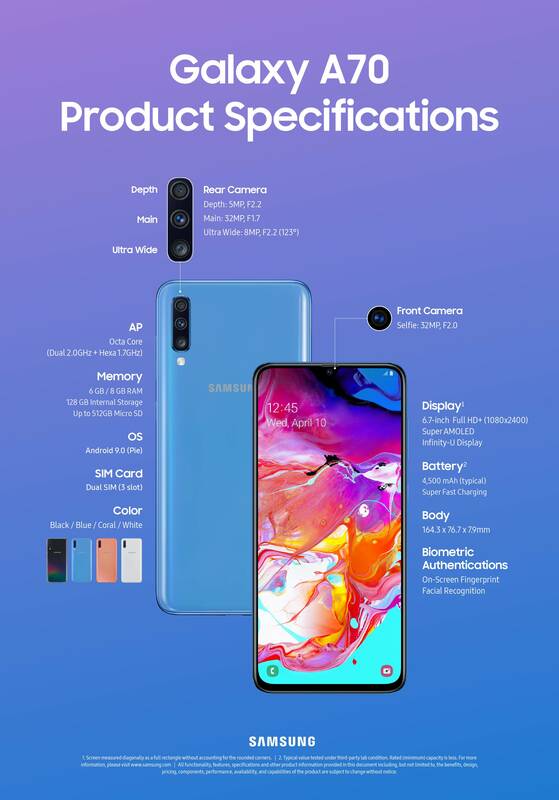 This company has released another attractive smartphone in the popular Galaxy A series – Galaxy A70. This mid-range smartphone comes with the largest screen so far. It has a larger display than any previous Note or S series device. So, the main focus of the phone is its 6.7-inch with an Infinity-U design and screen-to-body ratio of 20:9. In addition to the huge screen, which will undoubtedly make you even more comfortable with contents you like to do or watch on the phone, the device boasts modern glass and metal design. This will additionally provide you with a better and more powerful using experience. The Samsung Galaxy A70 comes with three rear cameras. The setup consists of the main 32MP, secondary 8MP and finally third 5MP for depth adjustment. On the front, selfie fans will be satisfied with the 32MP camera. A large 4500 mAh battery feeds this device with power, but there’s also a 25W quick charge that will charge your device very quickly if the battery is running low. The Galaxy A70 is equipped with the Snapdragon 675 chipset, as well as 6GB RAM and 128GB of storage. The device comes with the latest Android 9 Pie system, on top of which there is the Samsung One UI platform. It’s the same interface that is on the Galaxy S10 and S10 Plus devices. This mid-ranger comes with great specifications, great screen, good cameras, huge battery, and it will cost 419 euros. Although we know that the middle of the smartphone market is flooded, this solid price could have an impact to make the Galaxy A70 stand up from the competition. 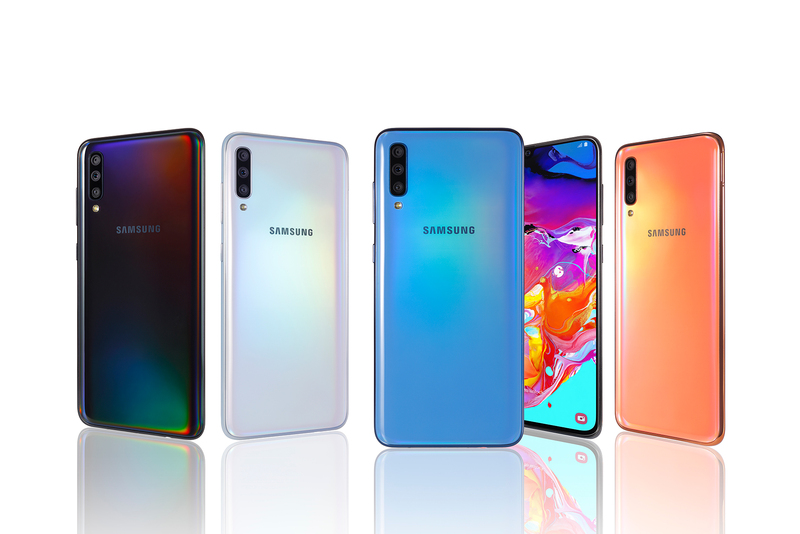 The Samsung Galaxy A70 sales will start on April 26 this year, in exactly two weeks. So, if you like this phone and want to buy it, have just a little bit more patience.